In 2012 the NY Times wrote: "...In 2009, 25% of those who wanted to buy online started from a search engine like Google, 18% directly from Amazon (from a study by Forrester Research). 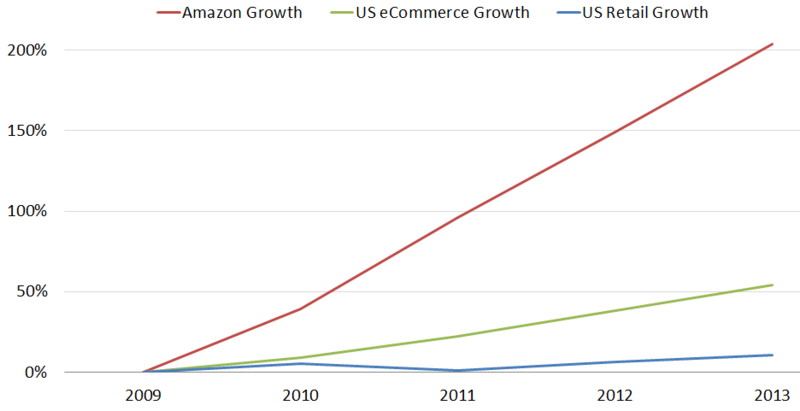 In 2011 only 13% was from a search engine while 30% typed directly into Amazon’s search bar...". Knowing how Amazon orders products from different stores within it and how to leverage this visibility is a valuable resource for those who sell online. There is no detailed research about this subject, so we must proceed by steps. Google is a search engine that sells advertising. Amazon sells products. This basic difference allows us to measure its effectiveness. Google rewards fast searches, frequent, and makes it possible to show a lot of advertising; Amazon rewards precise searches that lead quickly to the sale of the product. For this reason Google encourages and rewards websites with structured data that help it in its work of indexing. However, Amazon has already structured data in its catalogue system and it may define more homogeneous criteria to order products. As I wrote before, the determining factor with which Amazon chooses what to put at the head of the search is the ability to sell that product. A few store managers keep in mind this important detail, letting the user wade through menus and free searches of the website. A separate chapter should be written for each of these points, and maybe in the future I will. For now however, we want to point out how to increase our visibility on Amazon, and how to improve the organization of the products on our e-commerce. Factors filter, such as category, free shipping, returns etc. A mix of inbound links and data that, as I wrote above, increases the conversion factor of the product and allows Amazon to marginalize inside search. The subject is complex and Amazon's algorithm is constantly changing. Competitoor connects directly to the Amazon API allowing you to follow the prices trend and other indicators. If you would like to have more information about how to integrate the sale of products on Amazon and on how to optimize your e-commerce, contact Competitoor’s Team. A heartfelt thanks to DNA Response for data about Amazon.